Students hardly have time to work out during the semester, but finding time for physical activity becomes even more of a hassle when finals roll around. Putting time in to study for finals may take precedent this week, but there are plenty of benefits to finding a way to work in a quick run or workout to relieve stress and keep active. 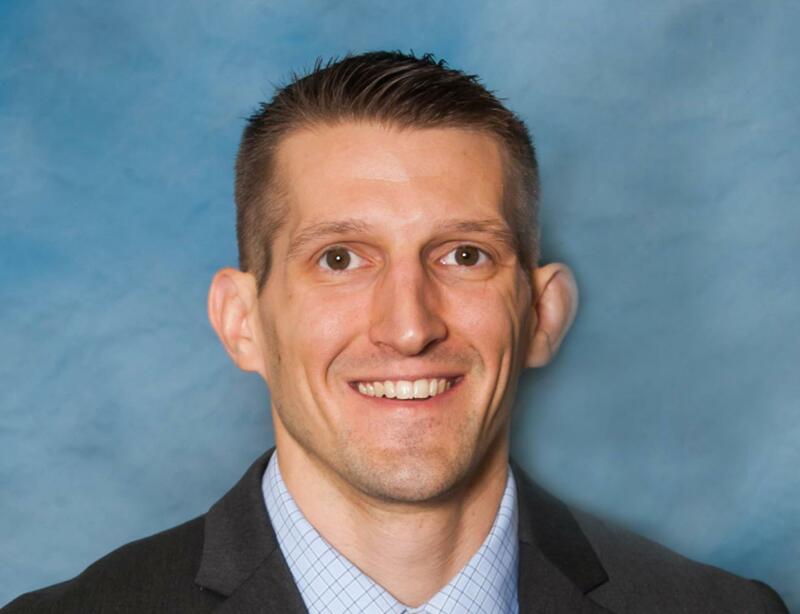 Matthew Darnell — the director of the Wellness and Human Performance graduate program and assistant professor in the department of sports medicine and nutrition — spoke with The Pitt News about how exercise and physical wellness can help lower stress and relax students during finals week. The Pitt News: What are some of the effects of exercise that benefit those that are stressed? Matthew Darnell: There’s a handful of benefits of exercise as far as it goes for stress. First and foremost, it just kind of helps to take your mind off of things. When you’re out working out and sweating hard, you can focus on something other than what’s been on your mind and what’s been stressing you out all day long. Especially if you’re really working really hard, it gets your heart rate up. Second, physical activity and exercise [have] acute and subacute benefits and some of those include helping lower heart rate, so it helps with decreasing your blood pressure. And thirdly, exercise also releases endorphins, which are those feel-good things in your brain that come out after you exercise. TPN: What are good, short workouts that students can do if they don’t think they have to time to get a good lift or do cardio? MD: Anything they can find time to do. It doesn’t matter what form of exercise it is, just anything. So if that’s getting up and going for a walk for 15 minutes, if it’s taking a break and climbing the stairs in the building that they’re at, even stepping away from the desk that they’re sitting at and doing basic, simple stretches. If it’s yoga, if it’s anything that they will do or can do, it has benefits. Go for a walk around campus. Getting outside, getting some fresh air, that’s an easy non-intensity exercise. If you have a bike, going for a bike ride. Any basic simple stretches, you know that you can take yourself through a seven- or eight-minute stretching routine or longer. You can look those up on YouTube or online — that can be beneficial as well. Like I said, any physical activity or any type of movement that you can do will be beneficial. Even going outside and playing catch, throwing a football, baseball or frisbee — anything like that is going to be beneficial. TPN: Would you say that there are exercises that you would suggest not doing? MD: No. Most people don’t get enough physical activity. There probably aren’t many things I’d suggest they don’t do. I would say don’t do anything new, it might not be a good time to. If you’ve never lifted weights before, it’s probably not a good time to pick up weight lifting, especially lifting heavy, because you might be sore afterwards. Really, any type of exercise is going to be good. TPN: What would be a good amount of exercise during finals week? MD: If you’re used to being physically active throughout the year, then you need to continue that during finals week. There’s time to get physical activity and exercise. So it’s just kind of how you plan your schedule and a lot of times when people are productive. If you maintain your normal fitness routine throughout finals week — just because, again, it will help clear your mind — it’ll make you feel better. You’ll be able to focus more during the time that you are studying than if you are not. So the majority of days of the week — three to five days … 30 minutes a session. TPN: Are there any foods that can relax you well over finals week? MD: During finals week, students should be still focusing on eating a well-balanced diet. They should be focused on whole grains, lots of fruits and vegetables, lean meats and protein sources. Those are all going to be beneficial for health, and a lot times when people are stressed, they eat a lot of carbohydrates and junk food that really create fatigue and drops in their blood sugar. It’s different than what we’ve normally been eating. It creates this low grading system like inflammation — things that we don’t want during finals week when we’re the most stressed. So, like I said, focus on a balanced diet, fruits and vegetables, whole grains and lean proteins. Don’t eat a lot of processed foods and include some low-fat dairy. I like tea. I like to recommend tea for students when studying. It gives you a little bit of caffeine instead of giving you big doses of it. There’s also some research that shows that tea has a more tangible benefit to it than straight coffee or other caffeine sources. So, it’s got more of a focused energy to it than the jitteriness of straight caffeine, coffee or other sources. TPN: If you aren’t able to exercise because you are injured, what are ways you could stay physically well or just healthy in general? MD: I think it always depends on the injury. You know, if you have a lower body injury, then you can do upper body exercises. If you have an upper body injury, then you can walk and complete lower body-focused activities … So I would just recommend being adaptive, to be creative, to find ways to still get some sort of physical activity in, even with the injury. Something that can be very therapeutic is just a 30-minute walk with your friend, just to get your mind off something, or even by yourself on a nice day.